US Pool Tile is making a splash and making waves in the industry. In the past few years we’ve grown to become one of the dominant East Coast pool tile companies, and we owe all our success to our valued and loyal contractor and homeowner customers. As we grow to help serve you even better, check in for the latest News and Events, and don’t miss our annual “Customer Appreciation Day” – final details to be announced. US Pool Tile is pleased to announce the addition of new Glass Mosaics. Pushing the envelope of what is possible in art mosaics, new Glass Mosaics are now available. These rich and dynamic artworks feature a depth and detail never seen before. Be sure to contact your local showroom to see the latest styles and sized. We are continually adding new selections. US Pool Tile adds unique Glass Tile to their collection. This sparkling tile line features translucent glass tile and gem-like colors that reflect the sun and water creating a dazzling pool / spa environment. Contact your local US Pool Tile branch to see more on this product. 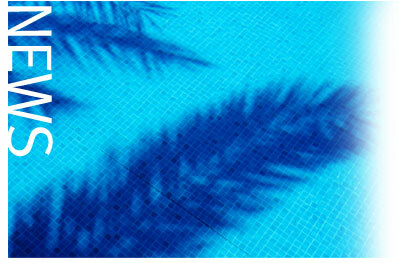 US Pool Tile released their latest pool / spa tile catalog today. With over 75 new tiles in the latest styles and colors, be sure to pick up your brochure today. If you would like more information, please feel free to contact us at any time, and we’ll be happy to send you our latest brochure. Contractors – please be sure to contact us and we will supply you with all the brochures you require.